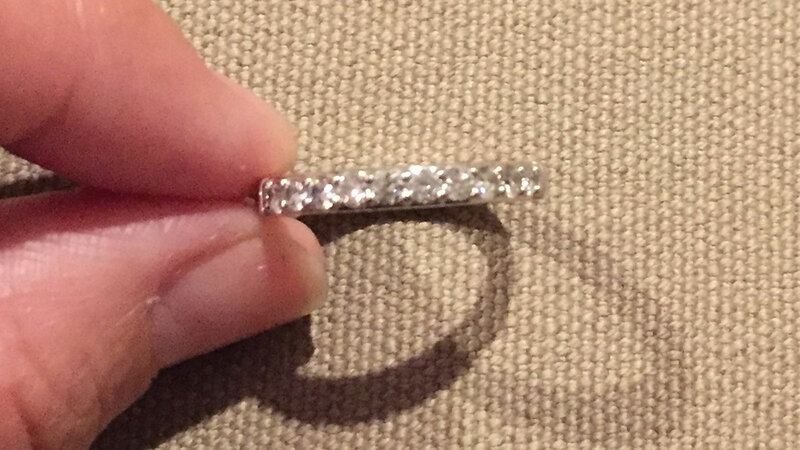 KATY, TX (KTRK) -- A good Samaritan who found a lost wedding ring in the parking lot of Katy Mills Mall says he's tracked down its rightful owner. The man says he noticed something shinning in the sun, stuck between the curb and the sidewalk. Then he realized it was a real wedding ring with diamonds and white gold. The finder reached out through social media and to abc13 for help. The rightful owner reached out to the man and told him what the inscription inside the ring said. The man is now making arrangements to return the band to its owner.